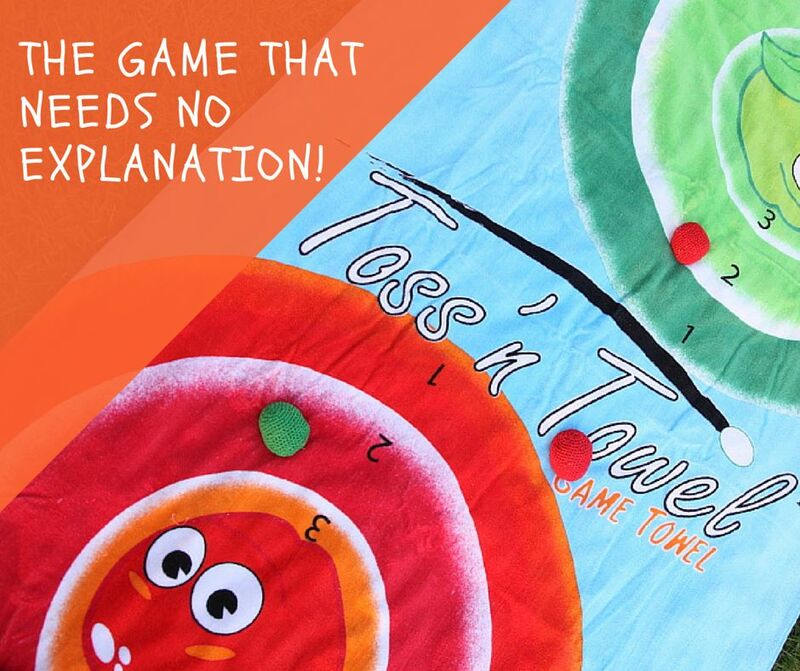 Live on Indiegogo, Toss'n Towel is a fun, pick-up and play game for all ages. A portion of all net proceeds from the game go towards supporting charities and non-profits that are making a difference in the world. Our world needs more kindness. What better way to foster kindness and understanding than to play a fun and simple game together? And so Toss’n Towel was born. Toss’n Towel, the original toss-to target game towel that needs no explanation, is live on Indiegogo and raising funds to bring the project to life. 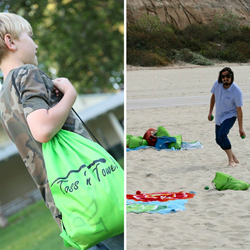 Just in time for summer, Toss’n Towel is the perfect grab and go game that unfolds everywhere for a good time - parks, the beach, or campgrounds. Players simply need to unfold the towel, stand back, and begin tossing the included Toss’n Sacks to hit the targets to score points. It is a game that is deceptively simple yet infinitely playable. The game sets up and is ready to play in seconds. Smith, who is also a blind entrepreneur, is utilizing the product as a vehicle to do good in the world as part of his lifelong quest to share and inspire a million acts of intentional kindness. As part of this mission, a portion of all net proceeds from Toss’n Towel supports Smith’s Little Green Apples Project as well the Boys and Girls Clubs of America, Pitch in For Baseball, and the National Alliance of Resident Services in Affordable and Assisted Housing. 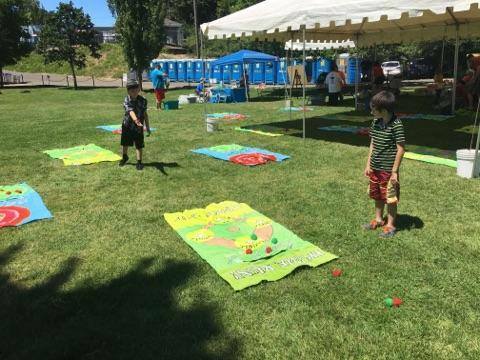 Toss’n Towel features an oversized, high-quality beach towel with colorful, attention grabbing graphics that is fun for game lovers of all ages. Backers of the project can choose one of three different Toss’n Towel Game Towels, each richly detailed with its own game design for long lasting enjoyment. Available at launch are the Original Little Green Apples Toss’n Towel, Toss’n Reef, and Toss’n Baseball. The Toss’n Towel is a quick drying towel that measures 40” x 70.” Included in every order are eight 5-panel pellet filled Toss’n Sacks (similar to Hacky Sack®), and a waterproof polyester cinch string backpack carrying bag. 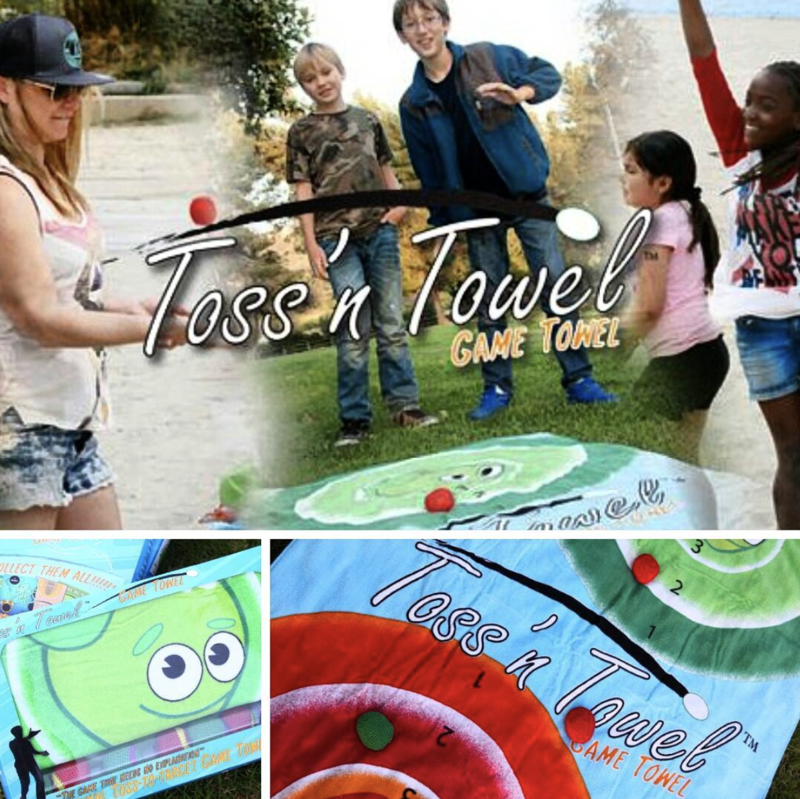 By supporting the Toss’n Towel Indiegogo crowdfunding campaign, users will not only experience the spontaneous joy of a really fun, easy-to-play game, but will also be helping Robert achieve his goal of sending Toss’n Towel games to deployed soldiers, disabled veterans, children’s hospitals, and senior centers around the world. Toss’n Towel™, a DBA of Text Your Dreams, LLC, is an exciting new concept in toss-to-target games. 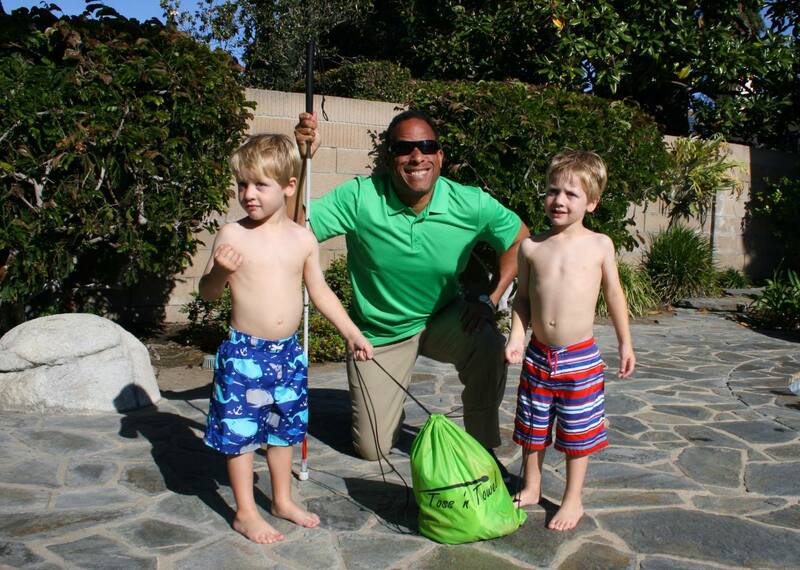 Created by blind entrepreneur and entertainer, Robert F. Smith, with assistance from two partners, Toss’N Towel Game Towel™ was created to help Robert on his multiple-year quest to share and inspire a million acts of intentional kindness. While still supporting Robert’s quest, Robert and his partners recognize the potential for this unique game platform to bring people of all ages and backgrounds together through fun.